Inc. magazine today ranked The CERES Group No. 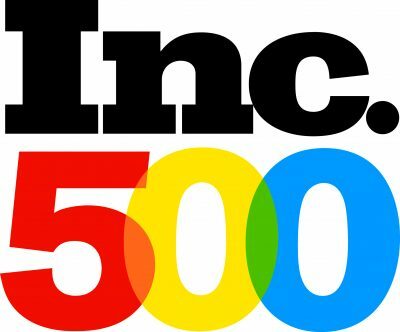 346 on its 36th annual Inc. 5000 list of the nation’s fastest-growing companies. With a three-year sales growth rate of 1265% The CERES Group is one of the most successful privately held companies within the independent small and midsize segment and will be featured in the September issue of Inc. The average company on the list achieved a three-year growth of 481%. The prestigious list of Americas fastest-growing private companies has become a hallmark of entrepreneurial success and The CERES Group is pleased to join the ranking. “It seems like yesterday when we opened our doors and I want to personally take this opportunity to thank the extended CERES Group family of coworkers, clients, and consultants who have played a role in our growth since we started. Our success has only been possible because people value what we do; but, more importantly how we choose to do it each and every day. We have enjoyed the roller coaster ride of a startup and cherish our growing community. We are committed to aggressive growth by expanding all our relationships that are built on a foundation of trust and transparency with everyone we interact with. “ David Belanger, President. The CERES Group is Boston’s most trusted IT staffing search partner, known for providing exceptional-caliber talent for its clients and the highest quality opportunities for its candidates. The CERES Group team members have spent years building a community of highly vetted, sought-after employees and matching them with the top companies in their fields. With a deep understanding of every industry it serves and dedication to being a fundamental resource to clients represented in the financial services, healthcare, higher education, retail, cyber security and management consulting industries. The CERES Group stakes its reputation on being the most transparent, ethical and hardworking partner for its clients and candidates choosing every day to build relationships based on integrity. Specializing in IT placements and ranking 7 in the Human Resources sector on the Inc. 500 list is a testament to The CERES Groups commitment to the people it represents. With IT unemployment rates at an all-time low and an increased demand for IT professionals at all levels in every industry the expansion of The CERES Group displays the staff’s deep knowledge of the technical requirements clients need for success and the ability to match experienced candidates.